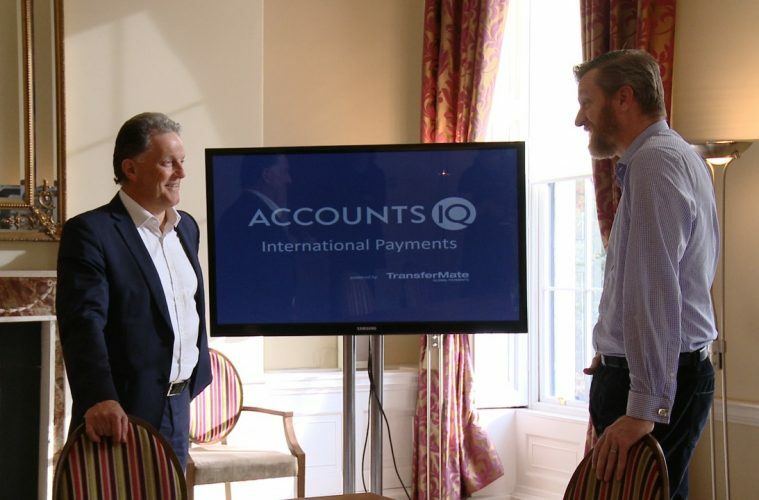 TransferMate Global Payments, the global B2B payments technology company partly owned by AIB and ING Group, has partnered with AccountsIQ to offer its customers a new way to access preferential FX rates for payments with an automated solution within the AccountsIQ finance system. AccountsIQ’s clients include Web Summit, Gaelectric, Nuritas and Altratech. Gary Conroy, TransferMate’s Chief Product Officer commented, “TransferMate is delighted to announce this new partnership with AccountsIQ. With a growing global client base, more AccountsIQ users are demanding simpler, faster and more cost-effective foreign currency payment solutions. AccountsIQ’s history of integrating with other leading apps means the needs of a wide range of businesses can be met. Working with complementary best-of-breed, sector-specific applications to merge vital data means that organisations get a seamless solution for their finance needs.